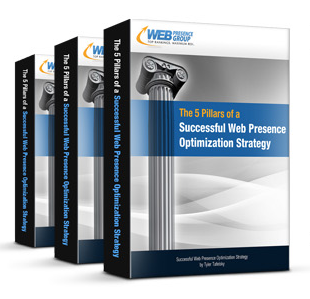 Get your free copy of our new eBook, and learn the 5 pillars of a successful web presence optimization strategy. We will take you through the entire process of web presence optimization, step-by-step. Once you are finished with this eBook, you should have a solid understanding of how to perform web presence optimization techniques for your online brand.